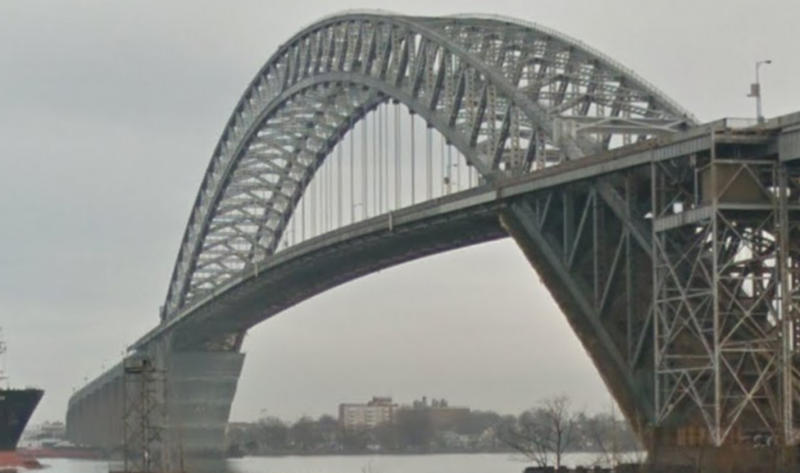 Mayor Jimmy Davis announced that the Port Authority of New York and New Jersey has provided new information to the City of Bayonne about the Bayonne Bridge construction project. Pier construction: Construction at most bridge piers on the Bayonne side of the bridge has been completed for now. At Pier N3, south of 1st Street, steel plates are being set. At Pier N4, south of 1st Street, bearings are being finalized, and pipe struts are being assembled. At Piers N6 and N7, between 1st and 2nd Streets, the gantry and crane are operating. Pier brackets are being stripped and pier tables are being erected. At Pier N8, which is between 2nd Street and Gertrude Street, pier work is now completed. Grouting will continue for a short period of time. Wall and Retention Basin: Construction continues on a mechanically stabilized earth (MSE) wall and a retention basin on the Kennedy Boulevard side of the bridge at 6th Street. Street closures: Streets and portions of various streets that run under the bridge will be closed temporarily. Portions of 1st Street will be closed until June 2016. While sections of roadway are closed, no through traffic can travel under the bridge. However, vehicles can continue to enter from Kennedy Boulevard or Avenue A for local access only. No other streets will be closed while three streets are closed in Bayonne for this bridge project. Shuttle Information: Free weekend shuttle service has ended for the winter season. It will resume next month, in May 2016. Port Authority Community Outreach Office: A Community Outreach Office is open in Bayonne to residents the opportunity to speak personally with Port Authority staff about concerns and services available to help minimize construction impacts. The office is closed on major holidays. Please call Tai White Johnson at 718-390-3003 with any question and concerns, or to schedule an appointment. The updated hours of operation for the Port Authority’s Community Outreach Office in Bayonne are: Mondays, 8:00 a.m. to 4:00 p.m.; Wednesdays, 11:00 a.m. to 7:00 p.m.; and Fridays, 1:00 p.m. to 4:00 p.m.